Get ready to rock your body! Everybody groove to the music because one of the biggest boybands of the 90's is finally making their way back to the Philippine concert stage! 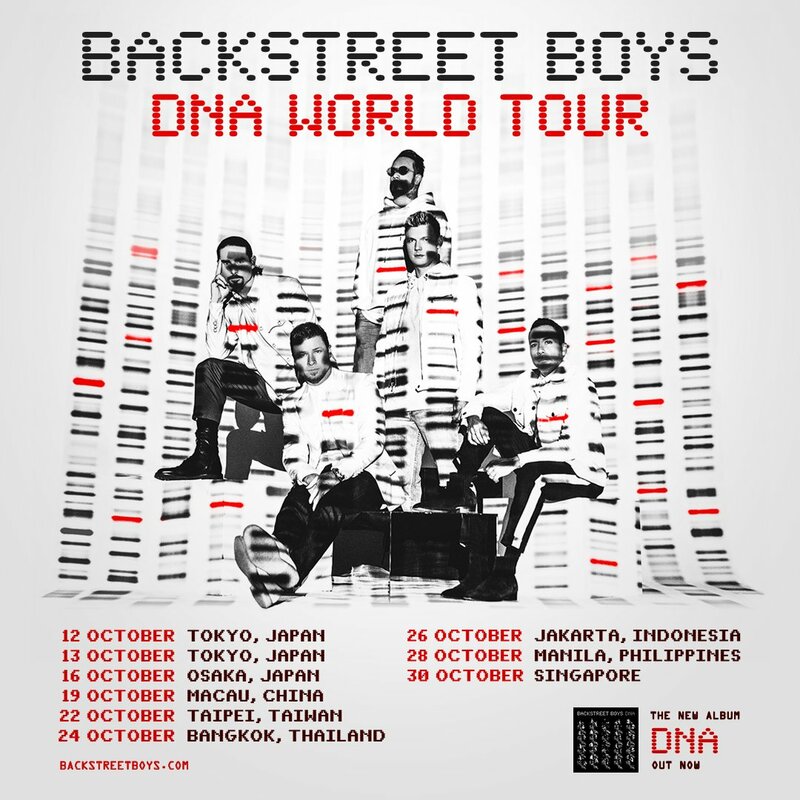 That's right, THE Backstreet Boys are bringing their DNA Tour to Asia, making a stop at Manila this October 28th! Brian, Kevin, Howie, AJ, and Nick took to social media to announce the happy news. Their upcoming show would make it their third time in the Philippines, the last time being in 2012 and 2015. This is one of the most exciting news we're hearing from them ever since their album, DNA, made it to the No.1 spot on the Billboard charts recently. Ticket details are yet to be announced, so stay tuned for more updates! How excited are you for BSB's return to Manila? Comment below!